Landlord and property expert Barry Hers offers insight into New York City’s fight against homelessness and evictions, and support for HIV and AIDS services. Property investor, landlord, and real estate professional Barry Hers explore changes to New York City’s Human Resources Administration’s HIV/AIDS Services Administration policies and initiatives as he reveals more about his support for HASA and other city-wide programs designed to prevent against eviction and homelessness, including the Emergency Rental Assistance Program. “In order to address the importance of preventing evictions and homelessness in New York City, the commissioner of the city’s Human Resources Administration added a new section, known as 5-02, to chapter 5 of title 68 of the so-called ‘Rules of the City of New York’ back in 2014,” reveals Hers, a decades-long veteran of the city’s real estate sector. This provision, he goes on to explain, ensures that individuals living with clinical or symptomatic HIV or AIDS in New York City who is receiving public assistance benefits via the Human Resources Administration’s HIV/AIDS Services Administration—known as HASA—do not pay more than 30 percent of their monthly income toward the cost of rent. Established at the height of New York City’s HIV and AIDS crisis during the 1980s and early 1990s, and today is more widely known simply as HASA, the Human Resources Administration department’s other services, in addition to housing support, including assistance in helping to apply for services such as Medicaid, plus transportation and financial support, mental health and substance abuse screening, treatment referrals, and employment and vocational services. Barry Hers is a respected property investor, landlord, and real estate professional based in Brooklyn and known for his philanthropic nature and charitable efforts. New York City native Hers has now supported programs such as HASA and the Emergency Rental Assistance Program, plus other emergency and non-emergency housing initiatives, for more than a quarter of a century, selflessly entering numerous owned properties in the city into these and other similar schemes. New York City, meanwhile, the most populous and densely populated city in the United States—today home to more than 8.6 million people—is currently focused on financing and administering a plan intended to end HIV and AIDS in the city by the end of the decade. 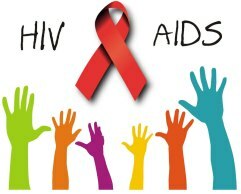 For more information surrounding HASA and other HIV and AIDS services in New York City, as well as for assistance with emergency and non-emergency housing, please visit the Official Website of the City of New York at https://www.nyc.gov.